Living life in the shadow of a giant is no way to live. 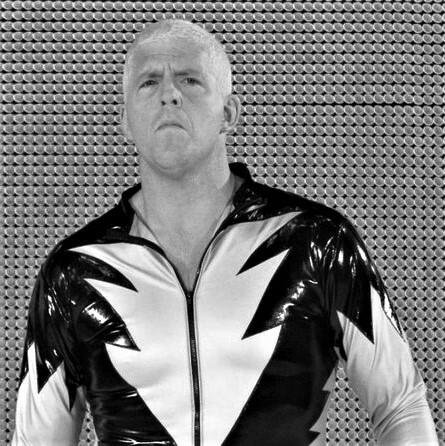 Dustin Rhodes—the artist also known as Goldust—could once relate. Back in 1994, despite standing at a towering 6’6″, Rhodes was engulfed by the shadow of his father, the legendary Dusty Rhodes. While he loved, respected, and admired the man who helped bring into the world, a desire—an anger—cut through his heart. Regardless of whether Rhodes opened his eyes in the morning or closed them at night, he was endlessly haunted by the thought that he would never be known for anything besides the name his father made famous. With the help of Vince McMahon, Rhodes created Goldust, ushering in a complicated but memorable stretch of WWE’s “Attitude Era.” Just as importantly, while he may not have initially received his father’s approval, Rhodes certainly grabbed hold of his father’s attention.